Thursday, March 22 9:30 a.m. – 5:00 p.m.
Friday, March 23 9:30 a.m. – 5:00 p.m.
Saturday, March 24 10:00 a.m. – 4:00 p.m. The ISA Sign Expo is one of the largest gathering of sign and graphics professionals in the world and offers exposure to new signage technologies and helps sign companies make valuable connections. Stop in at booth #1411 to see our newest product UltraBoard Lite, or check out our newly rebranded look and signup for a free sample kit of our complete foam board product line. 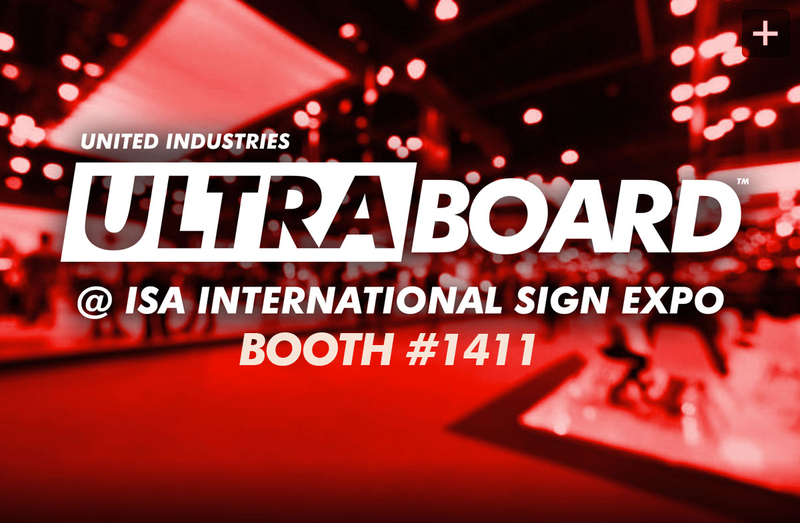 Take the opportunity to visit with the executive staff of UltraBoard and learn about our extensive line of sign substrates and aluminum composite materials. This entry was posted in Commercial Signage, Digital Printing, Industry News, Large Format Printing, Sign Business, Substrates, Tradeshows and tagged isa, sign expo, sign industry, tradeshow.